As our personalised medicine themed month continues, pharmaphorum’s Managing Editor, Rebecca Aris, interviews Kyle Fetter of XIFIN, Inc on the current regulatory and reimbursement landscape surrounding emerging diagnostic technologies. The fastest growing segment of the laboratory market is molecular diagnostics. The rapid growth of molecular diagnostics as a segment of the industry has created a fairly complex reimbursement and regulatory landscape. To gain a better understanding of this environment we spoke with Kyle Fetter of XIFIN, Inc. XIFIN provides a revenue management platform as a service software for high claims volume medical providers throughout the US. XIFIN, therefore, has a unique perspective of this area. Kyle speaks with pharmaphorum about the exciting prospects of new technologies, such as proteomics and the next generation sequencing and how they’re changing the way that we understand the biology of diseases. He also talks about how these technologies impact on treatments, and how he thinks payers will respond well to those types of technologies. RA: Kyle, thank you for agreeing to take part in this interview. Could you please start by explaining your role within XIFIN, Inc? KF: I currently work with all of our molecular diagnostic companies who are at various stages of commercialising new technology into the US market. For most of these early stage companies, we at XIFIN are actually managing all of their billing and accounts receivable efforts as well as helping to integrate that part of their business with their sales, marketing and reimbursement efforts. As a company we always have to strategically stay ahead of the curve by anticipating what our companies or our laboratories are going to need from a billing system, and also from their physician interfacing products. We’re in the eye of the storm if you will, because we are currently submitting over 60% of molecular diagnostic claims for sole sourced laboratories in the country, providing us with a unique insight. RA: What have been the latest advances in molecular diagnostic technologies? KF: Over the last few years we have seen huge advancements in the utility of proprietary testing for oncology patients, prenatal care, psychiatric patients and many other areas of healthcare. We are now seeing an uptake in labs that are utilising next generation sequencing and proteomics in their proprietary testing platforms. This is unbelievably exciting for the industry as a whole, because these tests are going to begin to give a more complete biologic understanding of these diseases, beyond just identifying the risk that’s correlated with certain genetic markers. Unfortunately the platforms being used are significantly further ahead of the current procedural terminology codes the payers are accustomed to seeing or paying. So payers haven’t really begun to identify what the best ways to reimburse these new technologies are. Companies are really going to need to be prepared to demonstrate their tests are being utilised appropriately by physicians, and also being used to change how patients would otherwise be treated. The road to reimbursement on these technologies is going to be a long one, but it’s really exciting from a technology standpoint. 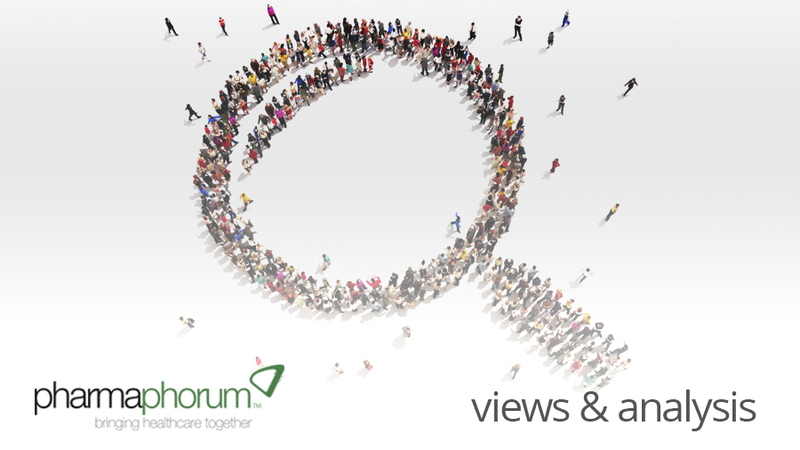 RA: How have payer requirements to cover diagnostic tests changed over the past few years? KF: The requirements have been and continue to be murky at best when you’re looking across all payer groups. However, in the last 12 months certain payers like Palmetto GBA, and even Blue Cross Blue Shield to a lesser extent, have really tried to take the lead on trying to define tech assessment protocols that would determine whether a diagnostic should be covered. While these initial attempts to establish the criteria for coverage haven’t been universally adopted by payers to date, we believe it’s an encouraging step that they’re working to put a framework in place that could be used as a roadmap for other new diagnostic products. RA: What criteria must be met in order for a diagnostic test to receive reimbursement and validation requirements? KF: This is another area where it’s somewhat murky, and it can vary based on which payer you’re working with. However, generally speaking published peer review literature demonstrating clinical utility and analytical and clinical validity of the test is a must. There’s a constant onus on the lab to develop and show clinical utility evidence for their product. So it’s critical that laboratories keep track of how physicians are using their test. Another thing that a laboratory really needs to focus on is tracking their performance with payers over time as well. Currently if one of these technologies is ordered for a patient and it gets billed to a payer they’re likely to receive a denial. This means the lab will have to appeal that denial, provide medical records for the patient and make an effort to show the payer how that technology is being used and why it was being ordered for that particular patient. It’s important to know that payers keep score on how well these labs are doing over time in performing these appeals, so it’s critical that the lab has the ability to monitor their success rate. These appeals are the first real experience an insurance carrier will have with that product, so it will ultimately affect the lab’s ability to contract at a better rate for their technology. RA: What is the role of clinical adoption in molecular diagnostics? KF: Physician adoption of new molecular diagnostic technologies is the single most important step in commercialising a new technology. Over the past few years we’ve seen a large uptake in the role molecular diagnostics play in determining patient treatment courses, but the status quo for major commercial payers and how they approach coverage for these technologies is that they first need to see the demand demonstrated for a technology prior to them performing a technological assessment of that new technology. This means a doctor has to be comfortable incorporating the test into their practice and using it to make treatment decisions. The larger payors will want to see physician demand on a fairly national level before they perform a technology review, and possibly give a lab a positive coverage policy. That may seem a little backwards, but it highlights why it’s critical for a new molecular diagnostic technology to track how their services are being utilised to that they can demonstrate. RA: How has physician awareness around unproven technologies changed? KF: We’ve seen a huge increase in utilisation of companion diagnostics, pharmacogenomic and more esoteric proprietary tests. The uptake of these types of products into the physician practice has been huge. Physicians have become much more comfortable incorporating these tests to determine treatment plans for their patients, and that’s critical for ongoing development of new technologies in personalised medicine. Most new molecular companies reach out to key opinion leaders first, so those leading ordering physicians can understand how to incorporate that product into their practice. It generally spreads slowly into the market from there, but as the landscape for evaluating these new technologies becomes more efficient the plan needs to be to get these products onto the market more quickly. RA: How can we increase physician adoption of molecular diagnostics? KF: The way to increase adoption of these types of technologies is to integrate directly into the ordering physician’s office. I think this is a really exciting time in the personalised industry because the growth in the use of EMR systems has really given laboratories the ability to integrate directly into the physician practice so that when a new test is available or a new product is available the physician can become aware of that product quickly. The ability to track how these first tests are being used through the physician EMR will allow labs to publish clinical utility studies that help educate newer physicians on how to utilise the test. By integrating the physician’s office directly into our billing system at XIFIN, we can also educate the physician at the time the test is being ordered on what information will be required to get the test paid for. RA: Finally what do you think the future of molecular diagnostic technologies will look like? KF: We see physicians, labs and payers all integrated directly together with platforms and web based system products. When a patient shows an indication, regardless of whether the physician is completely aware of all of the different products that are on the market for that particular indication, there will be a variety of different products available to them. The physician will know what tests are available, whether the patient has benefits, what information will be required for the test to be covered, and be able to provide all the applicable information needed at the time they order the test. The lab will then know they are getting good clinical and billing information up front and have mechanisms in place to track how tests are being utilized. RA: Great Kyle, thank you very much for your time and for your insights there. Kyle Fetter has overseen the commercialization, billing, and reimbursement processes for 17 molecular diagnostic companies releasing new high complexity laboratory testing services onto the healthcare market. He currently manages billing processes for 17 such companies at various stages of commercialization and third party payer contracting. In addition to overseeing a large molecular diagnostic billing department, he consults molecular diagnostic companies on projecting cash flow for non-covered services, implementing successful appeals strategies, and the relationship between sales and reimbursement for new medical technology. He came to the healthcare industry with a background in private equity and technology commercialization. Kyle has a B.A. from the University of Southern California and an M.B.A from the University of Utah. What do you think the future of molecular diagnostic technologies will look like?